You can hear Kingston and a lot of others silently seething, can’t you? There’s a lot of prestige on the line here drips with sarcasm, even if it might not be intended that way. Another Times’s excerpt follows. Go read the whole story if you want to be disappointed in people. 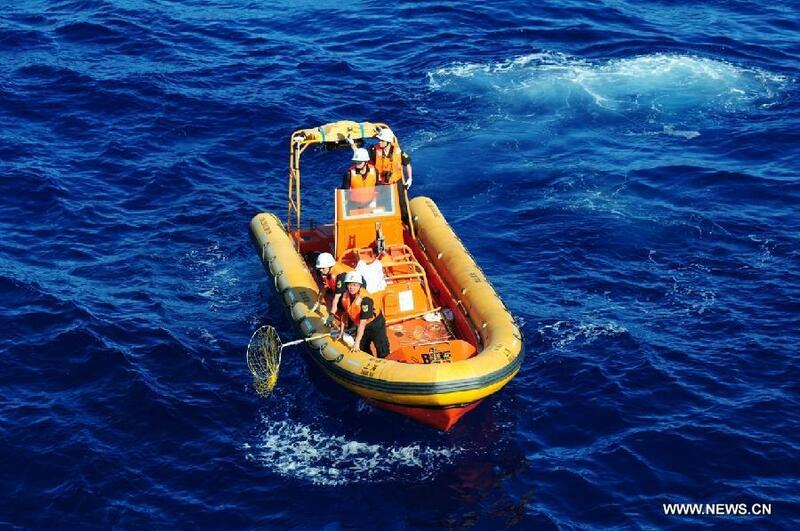 On April 5, Chinese state-run news media reported that Haixun 01, a Chinese government search vessel apparently operating outside the zone designated that day by the search coordinators, had twice detected underwater signals that might have come from the missing plane’s flight recorders. Still, search officials sent H.M.S. Echo, a British vessel equipped with highly sophisticated listening technology, to verify Haixun 01’s report. Several days later, Echo was quietly pulled from the area of the Chinese ship and sent to assist Ocean Shield, an Australian vessel also equipped with high-tech listening equipment that had detected four signals that search coordinators believed came from the plane’s flight recorders. The delay in deploying Echo to join Ocean Shield may have cost searchers the opportunity to record more signals and narrow the underwater search area, officials say. Actually I could not get the feeling of seething that you want us to see, as you did. Thought the article was pretty much correct, as an analysis. Yeah I’m not getting where you are coming from on this one Anthony. It seems like a pretty straightforward article to me. No, I don’t sense any sarcasm and it is certainly not “dripping” with it. And if you think he may not be intending it that way, then it would be even more non-sarcastic. Perhaps read it again tomorrow, sometimes a second reading lends itself to a different light. Those very helpful countries should have found the plane weeks ago, haven’t they? This article shows how ignorant and cold-blooded some reporters can be. You know what, I have no idea where these “analysis” came from. China did research job and released these satellite images as Austrlia and France, and both countries’s pictures were proved not related to MH370. How did this become unhelpful?